The Shaolin Kung fu Institute was established in 1972. 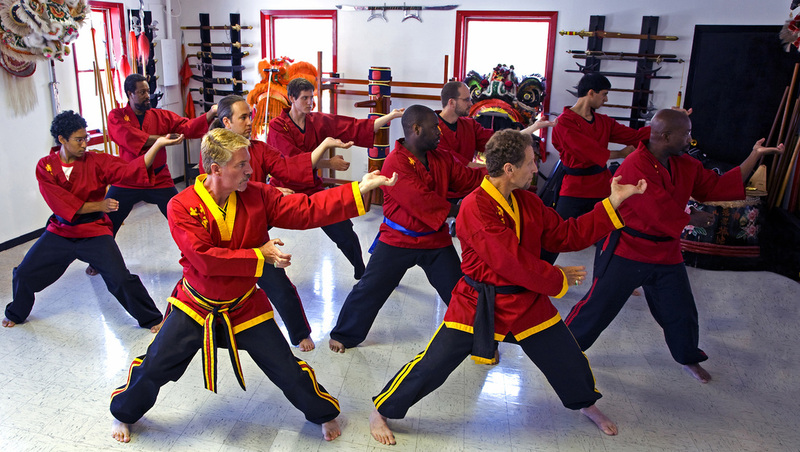 The Instructional Staff Training Program was formed in 1972 by the Institute; its main purpose is maintaining the traditional techniques of the style of Lung Jop Pai Kung fu, as taught by our Chief Instructor, Shifu Rex W. McCoy PhD. All Instructional Staff members are personally taught by Shifu McCoy. Physical conditioning is one of the benefits to proper training and as such, all of the staff members of the Shaolin Kung fu Institute are certified Martial Arts Conditioning Specialists, MAC.Sp, CPR and First Aid Cert, and extensive training in Anatomy and Physiology. All Staff members have extensive training and certifications in numerous course related training to maintain the highest level of teaching qualifications. The Shaolin Kung fu Institute Shen Long Tong is the main headquarters for certifying Instructional Staff Lan Long Hui members as Instructors of the style of Lung Jop Pai Kung fu. Staff members attend rigorous training sessions to complete the techniques and rank requirements of the style. All techniques learned and ranks attained are recorded in the Staff members progress report. All records are kept and filled at the headquarters as proof so there is no misrepresentation. All instructors who are Owner/Operators are licensed to teach this system, and are licensed to use our logo's and Trademarks. All campus locations are independently owned and operated. The following is the complete list of the current, active, Instructional Staff Members (4th Cycle) of the Shaolin Kung fu Institute, Lung Jop Pai Kung fu Style. So that misrepresentation/fraud of the traditional techniques of this system and irreparable harm to the Institute does not occur, only active Staff members/Instructors may instruct this system.